Are you a fan of American made products? Well then it’s time for you to meet the brand new Authenticity 50 sheets. From planting the first seed to sewing together the last stitch, Authenticity 50 prides themselves on creating a 100% American made bedding product at an affordable rate. Do these sheets have what it takes to make a lasting impression? Continue reading below to find out! Short on time? Not a problem. Just click here to skip down to the review summary. Save $10 on your order! Built with luxurious Supima cotton, the Authenticity 50 sheets are incredibly soft and cozy. Enjoy $10 off your purchase using code SLEEPOPOLIS! 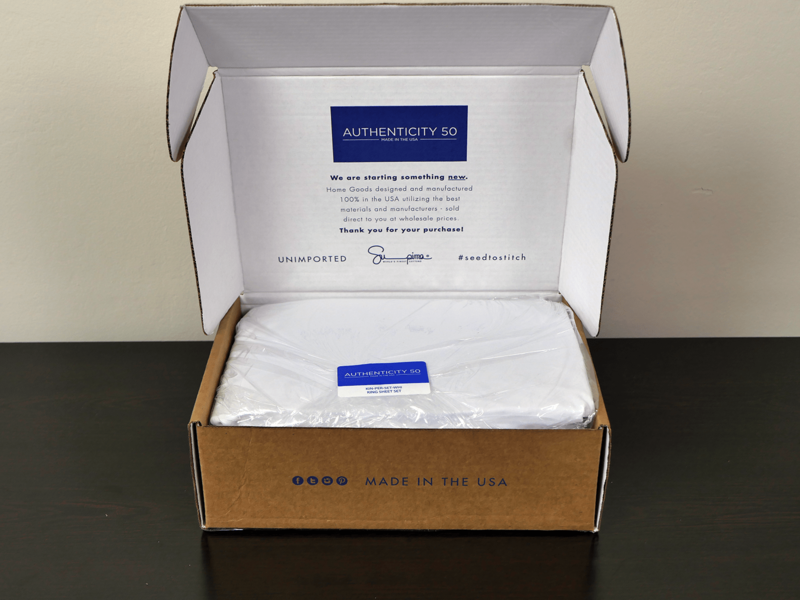 The Authenticity 50 sheets are made from 100% Supima cotton. The Supima cotton is grow in California, and never leaves the country. As Authenticity 50’s motto states, their cotton goes from “Seed-to-stitch.” In other words, their cotton is grown in the USA and remains in the USA for production of their sheets. Additionally, these sheets have a 250 thread count and are constructed with a percale weave. Authenticity 50 sheets are formaldehyde free and include 1 fitted sheet, 1 flat sheet, and 2 pillow cases (depending on your size preference). The build quality of these sheets is extremely well done. I was able to make this conclusion after close examination of the stitching, materials used, and overall construction of the sheets. After close analysis of the sheets, I was only able to find a few loose threads. There were some excess threads, but for the most part, these sheets were in very good condition. For the few loose threads I did find, I was easily able to pull them out without causing any damage to the sheet set. Additionally, the pillow cases were in excellent condition and showed no signs of damage. During my testing of the Authenticity 50 sheets, I focused on a few main categories. For starters, shrinkage. 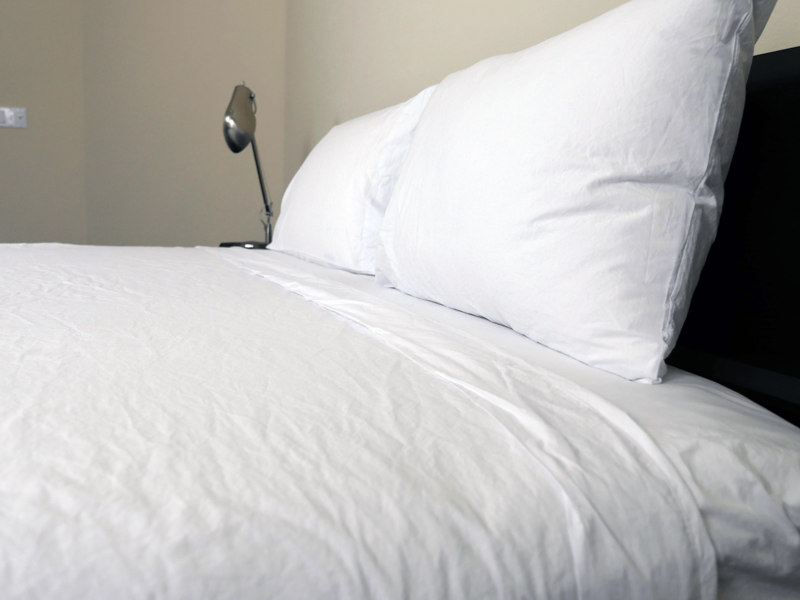 The most widely discussed issue with sheets tends to be shrinkage. No buyer wants to purchase a sheet set and wonder if they’re going to shrink dramatically after just one wash / dry cycle. After shrinkage I move onto thread examination. Are there troublesome loose threads? Have any threads become worse after normal usage? Finally, I test the colors of the sheets. This test allows me to determine the quality of color / dye materials used in the sheet set. As mentioned above, shrinkage tends to be the most influential factor with regards to purchasing a new sheet set. Before running the Authenticity 50 sheets through a wash and dry cycle, I take measurements of the flat sheet and pillow case. These measurements serve as my baseline for comparison after the standard wash / dry cycle is complete. Next up, time to wash and dry the sheets. After this is complete, I take new measurements and compare them to the originals. Once the comparison was complete, I saw minimal shrinkage from the Authenticity 50 sheets. 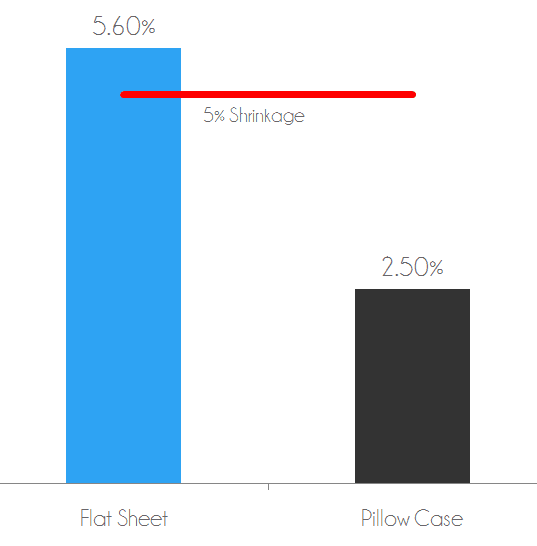 The flat sheet shrank by 5.6% (compared to the original size) and the pillow case shrank by 2.5%. I would expect to see very little, if any, shrinkage from these sheets from future wash / dry cycles. Any shrinkage that is 5.0% or less can be considered very good. Shrinkage test – the flat sheet shrank 5.6% after wash / dry. The pillow case shrank 2.5% after wash / dry. With the damage test I take a very close look at the sheets in search for any additional damages that could have occurred as a result of normal use and several wash / dry cycles. After reassessing the sheets, Authenticity 50 seem to have held up very well. The sheets looked great and there were no new issues with the sheet set. The color test is used as a measure of color / dye run off. To begin the test I soak a pillow case in warm water and allow the water to be fully absorbed. Once this step has been completed, I ring out any excess water with my hands. Immediately following, I place a bed of paper towels under the pillow case and firmly press a rolling pin against the pillow case. 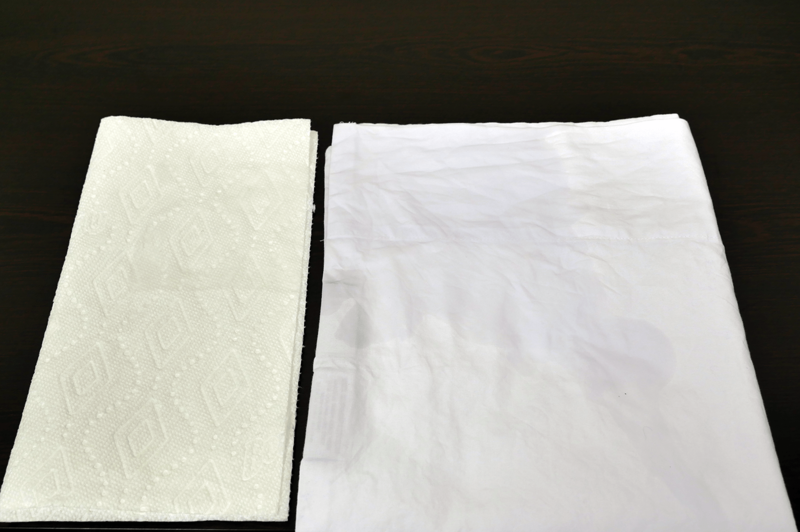 For lower quality sheets, the colors / dyes tend to run off onto the paper towels. As far as the Authenticity 50 sheets go, there was no color transfer whatsoever. The Authenticity 50 sheets have a feel that is virtually described in their name; authentic. Made from 100% Supima cotton grown in the USA, these sheets are lightweight, soft, crisp, and durable. Throughout my sleep test I felt as if the sheets were practically floating. Never once did they snag onto my body. Instead, they flowed smoothly with my movements. On a scale of 1-10, where 1 is the softest, the Authenticity 50 sheets sit between a 3.5 out of 10. Another impressive feature tied to these sheets is their ability to provide a cool sleeping experience. Their percale weave allows for high breathability, which helps to avoid hot spots. This is a huge benefit for those sleepers who enjoy a cotton sheet set, but want to avoid excess heat retention. The fitted sheet has a nice, snug fit around the mattress. Additionally, the flat sheet is very lightweight and basically floats atop of the mattress, further helping to improve cooling and airflow. Finally, and in my opinion probably the most important attribute about these sheets, they’re made 100% in the USA. Authenticity 50 uses Supima cotton grown in California. Additionally, from spinning, to weaving, cutting, and sewing, it’s all 100% produced in America. This is what makes them one of the most unique bedding companies selling online at this time. Their ability to produce quality sheets, from beginning to end, in the USA at an affordable price is impressive. 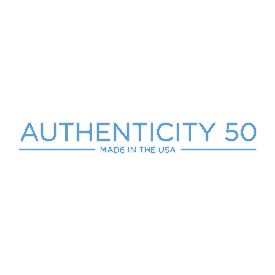 All in all, for those sleepers who are only looking to purchase a 100% American made product, Authenticity 50 is a great option to consider. Should I Buy the Authenticity 50 Sheets? Want 100% cotton sheets – made from 100% Supima cotton, these sheets have a crisp, yet soft feel to them. Additionally, they’re finished with a percale weave and have a nice, lightweight feel. Want sheets made 100% in the USA – with cotton grown in California and all craftsmanship completed in America, these sheets are among a very small list of bedding companies who grow and manufacture 100% in the USA. For those sleepers who love buying from an American made company, Authenticity 50’s sheets can be a great addition to your bedroom. Want cooler sheets – with such a lightweight feel and low thread count, these sheets have a high level of breathability. With high breathability comes a cooler sleeping experience and no hot spots. If you’re looking for a little more information on the Authenticity 50 sheets visit Authenticity50.com. If you decide to give Authenticity 50 a go make sure to grab promo code SLEEPOPOLIS. You can save $10 instantly on any order. Made from 100% Supima cotton, the Authenticity 50 sheets have a nice, lightweight texture. Not to mention, they’re cool, have a good build quality, and carry the title of 100% grown and made in the USA. For the sleeper looking to buy from a reputable brand and upgrade their sleeping experience, Authenticity 50 is a good option to consider.